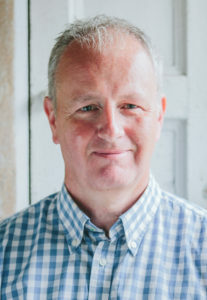 This post was written in response to a piece by Jane Ryan, an author published by Poolbeg Press in Ireland, who alerted authors to the many financial pitfalls that await aspiring authors on their route to publication, and who said that editors are one of those pitfalls. There are plenty of resources available online to help authors avoid those financial traps, and the fact is that editors are on your side, and can even help you avoid incurring costs you don’t need to incur. Much of Jane Ryan’s recent piece about financial traps for the unwary author (“Caveat scriptor: an aspiring writer and their money are easily parted”) was on point: scammy competitions with no visible prize, dodgy “manuscript assessors” who charge a fat fee but deliver next to nothing in valuable critique, and dubious book fairs that promise enormous exposure for large fees but rarely seem to deliver. But it struck me as poignant that she felt she had to find out so much of this for herself. There’s a huge network of other authors, writing resources and organisations out there to help aspiring writers of which, more in a moment. She did also make some large assumptions, particularly about editing, that I’d challenge. The first was her assertion that anyone can attend a few writing classes and learn to edit. For a start, editing is as much a craft as writing, and a completely different one, requiring a completely different mind-set. If you want to become an editor, you can learn editing (at classes run by an editing organisation), but you still won’t be able to apply those rules to your own work. Even editors need other editors. It’s not simply a question of learning the techniques of editing—it’s a question of both knowing those techniques and having the objectivity to apply those techniques to your own writing. The second related assertion was that no-one needs a third-party editor. It’s an odd thing for a traditionally published author to say because I’d hazard a guess that Ms Ryan’s book had at least two and probably three rounds of editing at Poolbeg before it hit the shelves. Every book that has ever been published has been edited by someone other than the author, to some extent. It is simply not possible for a writer to edit their own work to a publishable standard. Only an independent set of eyes can bring the objectivity necessary to edit a book properly. Every writer who says “my book is different, my book is fine” is simply denying history. But, you might say, Ms Ryan didn’t pay for that editing, Poolbeg did, so that must be better for the author, right? Well, that’s one perspective, but it’s not the only one. A traditionally published author accepts a very low percentage of sales (I’m guessing 7% of net for a debut paperback, so earning something close to €0.45 on a book selling for €15.99 in Hodges Figgis). She is, in effect, paying for the editing of her book (and other services like cover design, PR and marketing) with 93% of her sales revenues. What’s more, she will continue to pay, every time that book is sold, and the more copies her book sells, the more she is paying. So let’s be clear—the author pays for editing in both publishing models. In the traditional model the author pays through a very much reduced royalty rate. In the indie model, the author pays a flat fee up front. It’s about risk and reward. The publisher is taking the risk that the book falls flat on its face and they don’t recoup their costs, but if it’s a huge success, the publisher earns the vast majority of the revenue. In the indie model, the author takes on that risk, but they also take all of the reward. Instead of €0.45 a copy, the indie publisher would receive €6.40 a copy. That’s a big difference if the book takes off and you sell 5,000 copies—you do the maths. There are good writing classes that can teach the basics of writing craft, but, to put it bluntly, not every writing class is a good class. Many merely recite tired old writing-school tropes—things like “showing and telling” and the overuse of adverbs—that you can pick up in almost any book on writing. And classes, however small and intimate, are not bespoke. They’re not geared specifically to your competencies and problems, and usually only offer a cursory glance at your own work. They’re also venue-specific. Ms Ryan was apparently speaking from a very Dublin-centric point of view when she breezily mentioned that authors could “take a few classes”. But to many authors scattered all over the country—particularly the far north, south and west—day or evening classes in Dublin might as well be in Tokyo. The cost of travel, overnight accommodation and the course itself would add up to more than the cost of the editing she decried as overly expensive. That’s where a good editor excels. 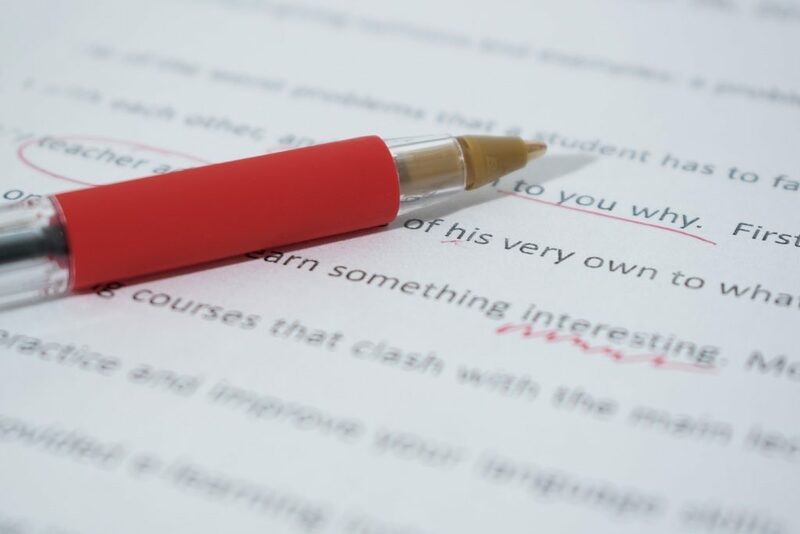 An editor is commissioned by the author and for the duration of that commission they are specifically focussed on problems they can see with your writing, and areas where your work-in-progress could be improved. Depending on the type of edit commissioned they might be looking objectively at structural issues (“the story drags in these chapters”, “do we really need this character?”, “your point of view in this scene is muddled”) or sentence-level problems (missing or incorrect punctuation, missing words, poor sentence structure). The level of editorial intervention depends on the author’s mastery of writing craft—it’s quite possible to be a brilliant storyteller but a technically poor writer. Ms Ryan mentions having a poor experience with a manuscript assessment, where she paid to have someone look over her book. The feedback she received told her nothing useful, and then tried to sell her further editing services. It sounds very much like one of those flakey “author services” companies that proliferate on the internet. What a pity that Ms Ryan had to find this out on her own. Any of the writer’s resources I’m going to mention later on would have advised her to avoid those companies like the plague. If you want some professional feedback, the only way to protect yourself is to get a personal recommendation of a reputable editor from someone you know and whose opinion you respect. That editor should be a member of a recognised professional body, like AFEPI Ireland or the SfEP in the UK. They should have a professional website and email address, a consistent online profile, perhaps a blog, social media links, evidence of testimonials, of qualifications. Have a long conversation with that editor before parting with any money. Establish exactly what you want out of editing, and their credentials for delivering that outcome. Should everyone hire an editor? Absolutely not. One of the first conversations I have with a prospective client is to understand the extent of their ambition as a writer. There are plenty of authors who simply want to have, in their hand, a book with their name on it—perhaps a memoir to give the grandchildren. They’re not concerned about selling to the public. These authors do not need an editor or a professional cover designer. Their book will be a lot better if they do get it edited, but no-one should be telling them it’s compulsory. Having said all that, what about the money? Yes, editing costs money. You’re asking a professional person with bills to pay and quite possibly children to feed to spend a week, two weeks, even a month, helping you to write a really good book. Why would anyone do that for free, or for less than the minimum wage? It’s a bizarre and horribly widespread notion that people in the creative arts should work for nothing, or for “the exposure”. Indie-publishing authors are business owners, like it or not. They are producing a product that they are trying to sell to the public, and the costs of getting that product to market, be it hiring a venue or office space, leasing machinery, getting advice on patents, or buying raw materials, aren’t free—they’re a business expense. If you expect readers to pay good money for your books, then you have a responsibility to them to produce the best book possible, and that will mean incurring expenses. And is it only indie authors who can make use of an editor? No, not at all. A writer who wants to go the traditional route usually gets just one chance with an agent. The biggest regret of many writers is that they sent their book to agents before it was ready and lost the opportunity they had set their hearts on. So some writers choose to pay for professional feedback to ensure, again, that they are submitting the best version of their book to agents and publishers, giving them a huge advantage in fighting their way out of the slush pile. Ultimately, it’s the writer’s choice as to how much you want to spend and on what. The trick is to spend your budget wisely and invest in the things that will help you grow your career. There’s a huge network of resources available online to authors these days. Some have real value, others not so much. Ms Ryan namechecks writing.ie, a really valuable writing resource and networking site here in Ireland, through which she got her big break. The Alliance of Independent Authors (ALLi) has a wealth of resources for writers including free ebooks on every aspect of writing and indie-publishing, as well as a constantly updated list of companies and competitions identified as scams. The website Preditors and Editors is a curated list of individuals and companies who routinely try and rip off authors, from vanity publishing houses and author services companies who promise the earth and charge accordingly, to self-styled “editors” with no qualifications and no clue. The website Writer Beware is another (with an excellent and extensive section on what to look for in an editor, when to hire one, what to expect and what not to expect). Lastly, those editors. Some editors do a little pro bono work from time to time. You can always ask. I run a website, The Opening Lines, which provides a free critique of your novel’s opening few pages as part of my giving back to the author community who keep me in work. The idea is to let you know whether your work in progress is really up to scratch before you send it to agents and publishers—the bar is set far higher than most aspiring novelists think. 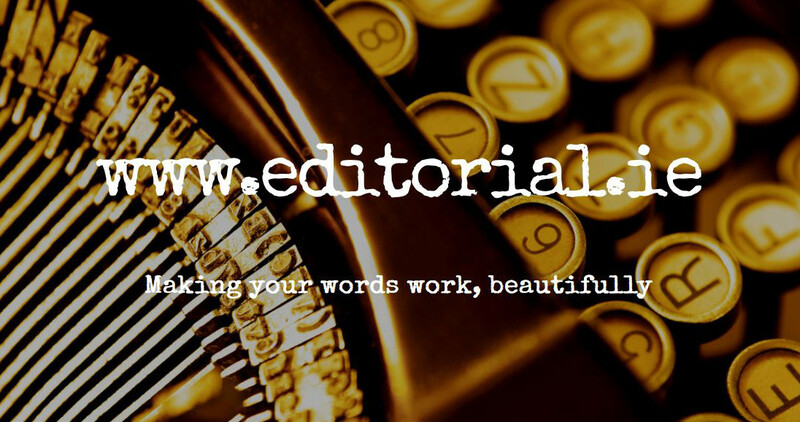 At least you’d get some idea of what an editor does and the value they can add, and it’s free. Ms Ryan ended up traditionally published with Poolbeg, and I wish her every success. But every writer’s journey is different, and what suits some authors isn’t going to suit others. All writers who are taking their writing seriously need to educate themselves about the business they are in, what the risks and realistic rewards are, what their ambition is and how much or how little they’re prepared to spend to achieve it. We all like to daydream (perhaps writers more than most!) but publishing is a business.